If you occupy a role in the healthcare field, chances are your employer requires you to get a flu shot each year. 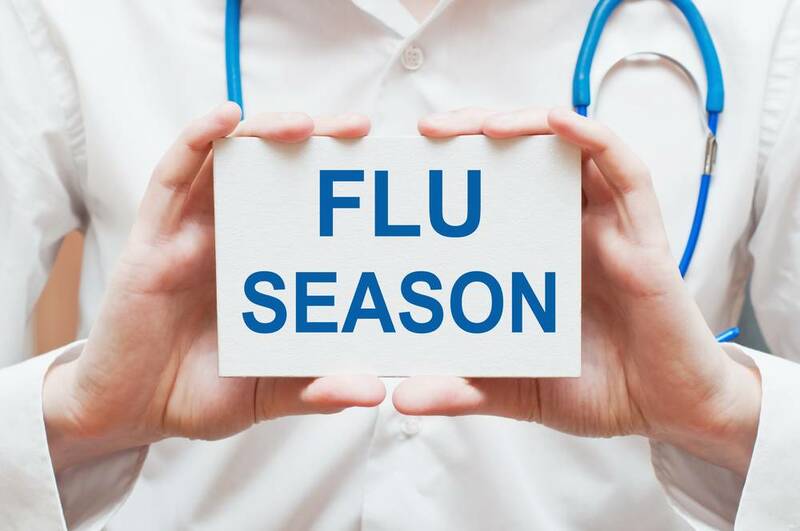 While flu vaccinations are highly effective for most, it may not be enough on its own for healthcare professionals who are exposed to the virus regularly throughout the season. Modern medicine can only do so much; you need to fuel your body with the things it needs to help keep itself healthy as well. Junk food might help you get through a tough shift, but eating well and taking in plenty of fruits and vegetables gives your body the vitamins and minerals to fight off sickness during flu season. Be sure to stay hydrated as well. Flu season falls during a time of year when many are busy with holiday activity on top of usual work and social requirements. This takes a toll on the body, so make sure to sleep plenty. Avid travelers swear by immune-boosters and vitamins like Airborne, Zicam, or Emergen-C. Airports and airplanes have proven to be some of the most germ-ridden places anywhere, so adopting these techniques can help you keep sickness at bay as well. The first signs that sickness is coming are often subtle. If you notice yourself feeling a little achy or your nose is starting to run, make taking care of yourself top priority. Take vitamins, rest, drunk fluids, and use hand sanitizer often. Being proactive can be enough to stop the flu before it has a chance to even start. You might go to great lengths to keep yourself clean, but what about the things you touch every day? Things like your cell phone, car keys, wallet, or purse touch countless surfaces each day, so they need to be kept sanitized as well. HealthCare Support is focused on providing our partners and colleagues with exceptional service while exceeding their expectations. For information regarding the recruiting and hiring services we offer, please contact us today by calling 1-888-219-6285.